Marijuana is legal both recreational and medicinal use. Oregonians are allowed to grow up to four plants on their property, possess up to eight ounces of usable marijuana in their homes and up to one ounce on their person. However, this cannot be sold or used in public. $200. For those in receipt of food stamps or Oregon Health Plan cards, the fee is reduced to $60. For persons receiving SSI or having served in the armed forces, the fee is reduced to $20. 24 ounces of usable cannabis. 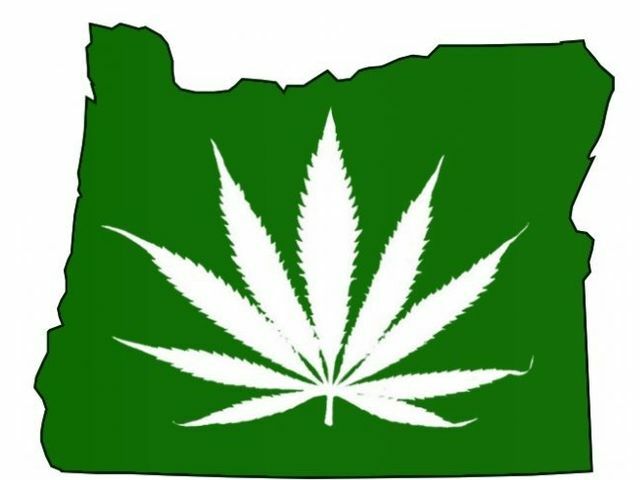 1998 – “The Oregon Medical Marijuana Act” Ballot 67 is approved by voters, removing penalties for the use, possession and cultivation for those in possession of a valid medical marijuana card and signed recommendation letter from a physician. 1999 – Mandated patients or appointed caregivers cultivating cannabis can only do so in one location. 2001 – Patient-physician relationship must be bona-fide. 2006 – Patients carrying above the state legal amount of cannabis can no longer argue for an “affirmative defense” of medical necessity. This means that patients can no longer argue that they’re carrying more than the state limit due to their medical condition. 2013 & 2014 – Senate Bill 1531 (SB 1531) is signed, restricting the setting up and operation of medical marijuana dispensaries. Possession of 1 ounce or less of cannabis is not a state-level crime in Oregon. No penalty of 8 ounces or less at home. For non-medical patients, possession of over 1 ounce and 2 ounces is a misdemeanor, with a fine of $650. Manufacture or cultivation for mass production is a felony, and can bring up to 5 years’ incarceration. Only those with a license can grow cannabis for commercial purposes. Only personal grows in home gardens are OK .
No fine or penalty for distributing 1 ounce or less of homegrown cannabis for no compensation. More than one ounce and up to 16 ounces, it is considered a Violation and a $2,000 fine. There is no penalty for non-medical patients to cultivate up to 4 plants at one time. Any more than 4 and up to 8, and it’s up to 6 months’ incarceration and/or a $2,500 fine. Any amount not grown at home, grown near a school or more than 8 plants is considered a felony and will get you a prison sentences and/or a large fine. There is no penalty for solid-, or liquid- infused concentrates at home, as long as the amount extracted is 1 ounce or less. Marijuana is considered a Schedule II substance by the Oregon Board of Pharmacy. A conviction of a marijuana-related offense can lead to an automatic 6 month driving suspension. Those with a medical marijuana card may possess up to 24 ounces of usable cannabis flower at home or on their person. Medical marijuana patients may cultivate up to 6 mature plants and 18 immature seedlings. Caregiver program is operational. Caregivers must be aged 18 or over, and a patient may only have one caregiver. There is no reciprocity with other states.